30-year Autobody by Caldwell owner Jack Caldwell, one of the founders of the Collision Industry Conference and a member of the Hall of Eagles, died Saturday. “He was there when Al Estorga asked the question from the floor of the I-CAR annual conference and was denied an answer,” CIC co-founder and current Administrator Jeff Hendler said Wednesday. Caldwell, Hendler and the late Darrell Malott “drug Al out” before a fight ensued, Hendler recalled. Hendler couldn’t remember Estorga’s question, but said the answer that it wasn’t the time or place to discuss the issue was the catalyst for CIC. He, Caldwell, Estorga and Malott decided to create a venue where it’d always be the time and place for industry questions to be answered. Caldwell would go on to be the second CIC chairman in 1986, following Estorga’s 1984-85 term. In the late 1970s and 1980s, a “handful of people” sought “to make this industry a more viable entity for the repairers,” according to Hendler. “Jack was one of those,” he said. Any collision industry meeting around the country, “Jack was gonna be there,” Hendler said. 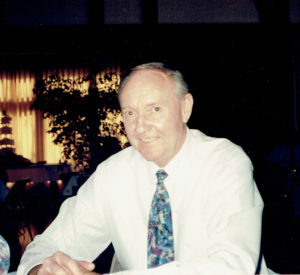 Caldwell was named to the collision industry’s hall of fame, the Hall of Eagles, in 1991. Hendler said Caldwell was “very active in the California Autobody Association” and served as one of its presidents. Former CAA President Rick Johnson said Caldwell continued to attend board meetings even after leaving the executive committee. Johnson recalled Caldwell “always had good advice” and provided historical context. Johnson said Caldwell also chaired the California Auto Repair Political Action Committee. Caldwell also was very active in the Automotive Service Association, chairing ASA’s Collision Division and at one point serving as leader of NACE, according to Hendler and Johnson. Ron Kuehn of Collision Business Solutions noted on Facebook that Caldwell’s son Kevin had also led NACE, creating what he thought might have been the first time a father and son both had terms at that conference’s helm. Hendler said Caldwell was “a very caring guy who loved people” and “a mentor to a lot of individuals.” If you were a stranger at an event, Caldwell would make sure you met everyone, Hendler said. “Jack was Jack,” Johnson said. Jack Caldwell was born April 14, 1933. He received a bachelor’s degree in biology from Loyola University while owning a body shop. Caldwell was an Air Force veteran, who spent more than 1,000 hours as a B-25 bomber pilot, had a jet rating, commercial aviation license and instructor qualification before being honorably discharged as a captain. Caldwell also worked in aluminum sales, rising to the post of vice president before switching back to the collision repair industry. Caldwell also sat on advisory panels for ASE, I-CAR, Motor, Mitchell and ADP. “He participated in numerous test writing and policy setting groups that to this day help shape the way business is conducted in the collision industry,” an obituary provided by Kevin Caldwell stated. Jack Caldwell also served as Jaycees president “and was instrumental in their seat belt installation in the mid 1960’s,” the obituary stated. Caldwell is survived by his other children, Kerry and Kelly; six grandchildren; and five great-grandchildren. He was preceded in death by his wife, Vivian Caldwell, “another active lady,” Hendler said. Services were held at El Toro Cemetery in Lake Forest, Calif.